The passengers who survived Southwest Flight 1380’s engine explosion are feeling lucky to be alive and grateful for the skilled landing executed by pilot Tammie Jo Shults. Another group feeling relief are the top executives of Allegiant Air. If the accident had happened to one of their planes, the carrier’s survival might be in question. That’s because of the revelations contained in a remarkable 60 Minutes investigative report on Allegiant that aired on April 15th. Correspondent Steve Kroft described the culture of the budget carrier as one that puts profits before safety and that discourages pilots from reporting mechanical problems with their aircraft. The piece documented an alarming pattern of aborted takeoffs, cabin pressure loss, emergency descents and unscheduled landings during Allegiant flights. In one incident Allegiant, whose executives refused to be interviewed by 60 Minutes, fired a pilot who made an emergency landing when smoke appeared in the cabin and then ordered passengers to exit rapidly through escape chutes once the plane was on the ground. To its credit, 60 Minutes did not focus only on Allegiant. It also investigated why a carrier with such a checkered track record was still allowed to fly. The answer turned out to be that the Federal Aviation Administration has during the past few years adopted a less confrontational enforcement approach. Kroft grilled John Duncan, the FAA’s head of flight standards, who went through extraordinary verbal contortions to avoid saying anything negative about Allegiant’s record. Duncan insisted that each incident was addressed separately and refused to acknowledge there was any pattern of misconduct. Duncan is a living embodiment of that new FAA approach, which involves quietly cooperating with carriers to fix problems rather than pressuring them with large fines and other public sanctions. The FAA has not abandoned monetary penalties entirely. In Violation Tracker, Allegiant has eight entries from the agency, the largest being a $175,000 fine from 2015 for drug testing deficiencies. 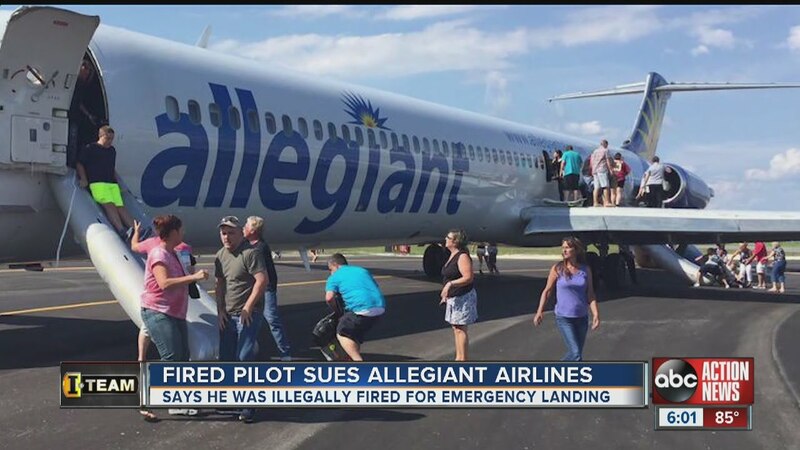 Penalties like that are fine for routine infractions, but something a lot more punitive is needed when a company has the kind of dismal record attributed to Allegiant. Higher fines are just part of what is needed at the FAA. The agency should return to an adversarial posture and compel rogue carriers such as Allegiant to take safety issues seriously. It won’t be easy for the FAA to change its course, since the Trump Administration and Congressional Republicans are on a crusade against just about every kind of regulation. The latest maneuver is the use of the Congressional Review Act, an obscure law employed last year to undo rules adopted by the Obama Administration during the prior 12 months, to eliminate a longer-standing one: the 2013 Consumer Financial Protection Bureau regulation barring auto lenders from charging minority customers higher interest rates. This obsession with dismantling the so-called administrative state has gone beyond all justification and is putting the population more and more at the mercy of unscrupulous companies. Like many others in Trump’s America, big business seems to be confused on where it stands. One minute it is receiving its dream list of tax cuts and regulatory rollbacks, the next minute it is being attacked by the president for real or imaginary transgressions. Trump’s corporate villain du jour is Amazon.com, which he has criticized for supposed offenses such as cheating the U.S. Postal Service. As with Trump’s other Twitter tirades, any grain of truth in his position is overwhelmed by a torrent of incoherent and misdirected accusations and insults. Amazon certainly has a lot to answer for. The online behemoth has gone a long way in supplanting Walmart as the country’s most controversial retailer. 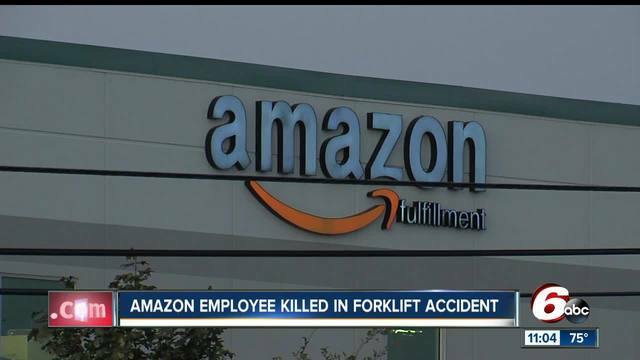 The labor practices in its distribution centers are horrendous. It is decimating small business. Most recently, it is conducting a competition among 20 localities for a second headquarters campus that will supposedly create 50,000 jobs, signaling that it expects a giant subsidy package from the winner. Some places are ponying up offers in the billions, setting the stage for a future fiscal disaster. Trump has focused on none of these issues in his tweetstorms against Amazon. He did mention the issue of sales tax collection, though his critique was out of date. After years of refusing to collect taxes in most parts of the country, Amazon has made agreements with state governments yet is still not collecting the local component in many places and is not requiring the third-party vendors that use its website to add taxes on their sales. It is unclear whether Trump’s complaint about Amazon’s arrangement with the Postal Service has any validity, given that the terms are confidential. What seems to be inaccurate is the claim that the USPS is losing money on the packages its delivers for Amazon, which is enabling the post office to make use of excess capacity. The problem is that Trump’s sloppy criticism is prompting many people to jump to the defense of Amazon, which doesn’t deserve all the support. The Washington Post, separately owned by Amazon CEO Jeff Bezos and probably the real target of Trump’s wrath, should be defended for its critical reporting on a corrupt administration. Yet even if Trump is incapable of making the distinction, others should not feel that rising to protect the free press requires one to also take the side of a corporate cousin involved in very different activities. The Amazon situation is a symptom of a larger problem. Trump’s potshots against various companies amount to fake corporate campaigns that may be making it more difficult for real campaigners to get their message across — in the same way that Trump’s ham-fisted tariffs are complicating things for legitimate fair trade activists. To the extent that his fake criticisms engender pro-corporate responses, Trump could end up strengthening the position of big business. If Trump were smarter, one might think that was his intention all along. More likely, it just another aspect of the chaos in which we must now live.